Are you considering a lawn irrigation system or sprinkler system for your new home in Mequon, WI? If you’ve done your research, you know that there are many ways to design a lawn irrigation system. For best results, your new system should be customized to your landscape. Types of turf, trees, shrubs, plants and flowers present should all factor into the design of your Mequon lawn irrigation system. Other considerations include the slope of your property and the amount of sun or shade your lawn receives. To ensure smart design and smooth installation, partner with a licensed contractor. But choose your contractor wisely. Any contractor you consider should be open to visiting and surveying your property, locating your water source, and taking a read of your property’s water pressure. Most importantly, your contractor should have a solid idea of your lawn’s needs as well as a good understanding of what you hope to accomplish with your lawn irrigation system before finalizing the design. Since our company’s first service call in 1988, we have provided timely and efficient lawn irrigation services to almost 3,000 customers throughout Wisconsin. We employ only the most skilled and knowledgeable service technicians in the business, and our fully-stocked service vehicles ensure we can rise to any occasion. 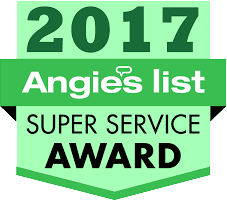 At DJ’s Lawn Sprinklers, we are committed to providing only the highest quality repair, customer service and residential lawn irrigation systems to our customers all over southeast Wisconsin. Call 414-546-6456 today for a FREE estimate on a new irrigation system or repair of your existing system!